(Relaxnews) - The internet is chuckling over a quirky news item which uncovered, perhaps, the most ominous flight plan ever: Flight 666 to HEL on Friday the 13th. It’s a series of sinister coincidences picked up by the Associated Press. In many countries, the number “666” carries diabolical biblical connotations and Friday the 13th is also viewed as bad luck. The HEL airport code refers to Helsinki. The unlucky alpha-numeric combination, however, didn’t seem to deter passengers on the Finnair flight AY666 between Copenhagen and Helsinki, which was almost full. 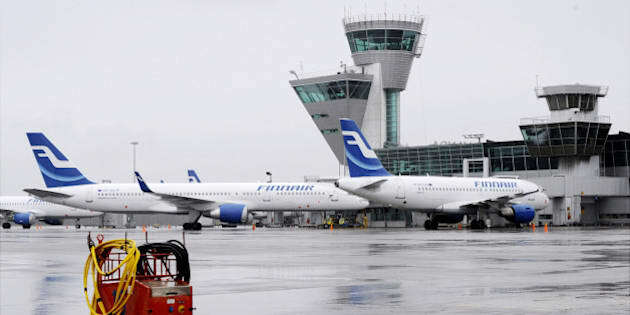 The roughly two-hour flight was due to arrive in HEL at about 3:45 pm. “If you're going to tweet one Friday 13th story, tweet this one: boarding flight 666 to HEL,” said one Twitter user.